Viktor Faulknor is a PhD candidate in International Relations, in the Department of Politics and Philosophy at La Trobe University. His research project focuses on China's Belt and Road Initiative from interdisciplinary political economy, geopolitics, and environmental sustainability perspectives. 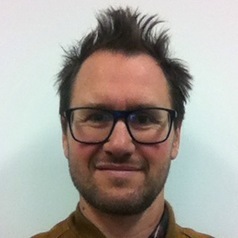 He completed an interdisciplinary Master of Environment at the University of Melbourne in 2015, and prior to that a Bachelor of Arts in History and International Development at La Trobe University (2012) and Diploma of Permaculture (2011). His masters thesis focused on the contemporary political economy of the global oil system. He has taught permaculture at CERES Environment Park in Melbourne and owned and operated a business leading small group adventure tours in Mongolia and importing yurts to Australia and New Zealand.